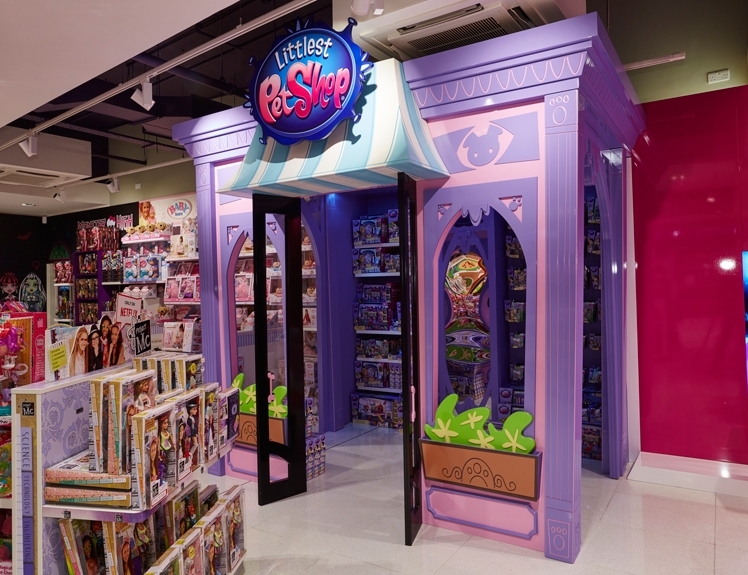 When the Toy Store sealed its deal to open its first UK, London based store on Oxford Street in a huge 27,000 sq ft shopping location in the West One centre next to Bond Street tube station – we embraced the opportunity to get on-board. The project, one of monumental scale, saw us working with several toy manufacturers to produce exclusive sections. Propability brought to life the Original Pet Shop in it's true form literally constructing a shop within shop. 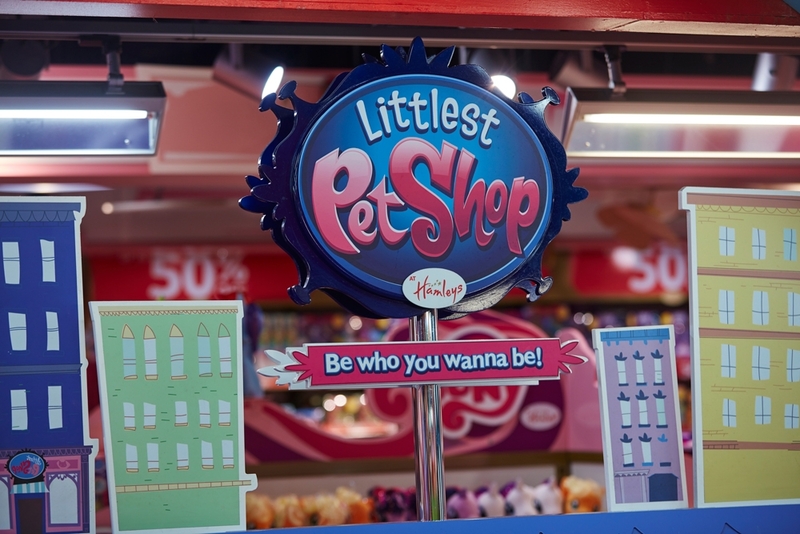 The build was quite a challenge as the pet shop needed to appear wonky and at funny angles replicating the original illustration where nothing is straight. The result is sweet and childlike – a 3D replica of the original illustration. Constructed primarily in MDF everything was finished with an anti-scratch high gloss lacquer for maximum durability.